Last year, I sold my software company (Long Tail Pro) that I had built and run for 5 years. Deciding whether or not to sell that company was an intense process and left me with several sleepless nights. This was a significant business that was by far my biggest revenue generator and income source, so it was no small decision. Ultimately, I feel like I made the right decision to sell the company…and I'm glad I can still say that over a year and a half after the sale! But now here I am again, I'm looking to sell another business. 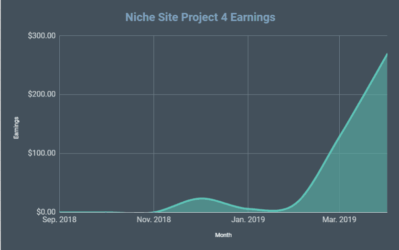 As you may have seen on some of my recent income reports, I've built up a great niche site + Amazon FBA business that has averaged $15k net per month over the past 12 months. (This is my “Home Goods Brand”). Even though I've been through the process before, I still find myself struggling with the decision: Is selling my business the right move? So, today I'd like to walk through some of the pros and cons of selling a business. 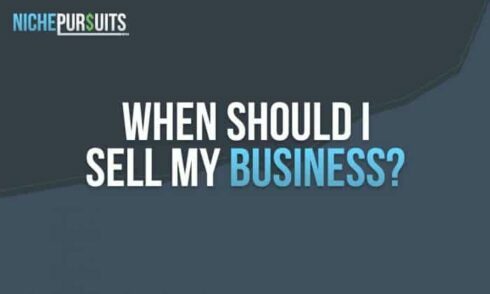 In the process I'll share some of my thought process and hopefully help you think through your decision if you are considering selling a business as well. Why Would Anyone Sell a Profitable Business? The business I am looking to sell in the very near future is quite profitable. As mentioned, it has netted me an average of $15,000 per month for the past 12 months. I started the business about 2 and a half years ago. I also spend less than an hour a week working on the business. I do have an employee that probably puts in 3 to 5 hours a week into the business. So, if I don't spend any time working in the business and it's profitable, why would I consider selling it? While the business is going well now, I can't predict what the future will bring. 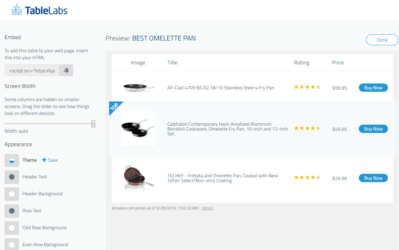 Since this is an Amazon FBA business, I don't know if Amazon will change something tomorrow that will drastically reduce the sales of my business. This unpredictable risk is enough for me to consider selling. I've had a good run for 2.5 years. Is risking $450,000 (a very rough estimate of value) worth it? I can take the guaranteed $450,000 now. Or I could keep rolling the dice that Amazon won't change anything and try to grow the business. However, this is just one way to look at things. There are several reasons to keep and run a profitable business as well. One reason to keep a business rather than selling is if you think you can grow it through your own efforts. You might be able to adjust pricing, explore additional sales and marketing channels, or perhaps bring in new products. There are lots of levers you can pull to try and grow a business. Have you explored all of these options? If not, perhaps you should focus on growth rather than selling your business. In a nutshell, you have to consider whether or not you are leaving growth on the table and is the effort to achieve that growth within your skillset. I have experience with SEO and creating new products, so these are both levels within my skillset that I could leverage. I have minimal experience running my own paid traffic campaigns, but I could always hire someone. The same could also be said for retail. When it comes down to it, there are TONS of factors for people to consider; and every business is unique and everyone's personal situation is unique. I know this may be a little different, but I am going to make a Pros and Cons table and walk through my individual decision making process for whether or not I should sell my Home Goods Brand business. I could get paid up to $450,000 I don't really need the money (thanks to my previous exit). I could use the money to invest in real estate or some other passive investment $15,000 a month is a significant revenue stream to give up. I wouldn't have to worry about Amazon Will I have enough monthly revenue to cover my existing employees if I sell? As you can see above, I've bolded the pros and cons that I'm placing the most emphasis on. These are the points that I'm thinking about most. For me, I think I'm ready to sell because Amazon is still a single point of failure. Yes, I generate perhaps 10% of my sales outside of Amazon, and I do refer significant traffic to Amazon with my own website. However, I still know that if Amazon were to change something drastically tomorrow, my business could get cut in half or worse. Others may not view the risk of being reliant on Amazon as that big a deal. I may be being overly cautious, because obviously Amazon is not going anywhere soon. At the end of the day, that's why there would be lots of upside potential for a new owner as well. If I sell this business, I'll be left with a significant amount of capital to invest in other things. What should I invest in? Right now, I'm looking to turn some of the capital I generate from my “active” businesses to more passive investments like real estate. At this point, I have not made any real estate investments, but I plan to. And yes, I would use a property manager so that my investment is as hands-off as possible. I've been consistently investing in the stock market and will continue to do that. However, I started investing in Bitcoin and Etherum a little while ago and will likely put some more money into these or other crypto-currencies. I feel that as a sector, there will continue to be strong growth in this area for a number of years (but also highly volatile). I also made my first loan on Prosper.com, and depending on how that goes may beef up some loans there. Other than that, I'll keep a little bit of money in the account until I figure out what my next venture will be. But then again, maybe I'm counting my chickens before they hatch and no deal will ever come to fruition! Overall, what are your thoughts about selling a business? When is the right time to sell and when is it not the right time? I'm open to hearing your thoughts in the comment section below. Thanks! If you don’t have a compelling place to put your cash keep it until you do. Everything has risk and nothing is guaranteed unless you just want to sit on a pile of cash and that is no fun. I think you need a bigger dream. Something that would fire your passion and once you find it and it needs cash then sell your FBA business. I hear your thought process though. If you invest in real estate and are an accredited investor, which I think you might be, look into mobile home park / large multifamily syndications with experinced sponsors instead of buying your own portfolio of single family homes one by one. 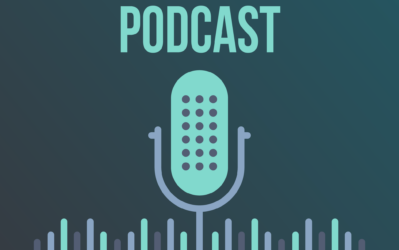 Too many resources to mention, but I’d start with the bigger pockets podcast. All the best in your decision to sell & investment path! Thanks Sunny! I’ve actually been talking with a buddy about multifamily units. Haven’t looked into syndication though. Thanks! I fully understand the reason to quit whilst ahead and cash your chips. Perhaps though that net margin with some modest investment and work could get to $20 – $22K relatively quickly and then hold for another year? Unlikely I guess that a huge Amazon hit will happen but I realise your caution after Google and PBN’s etc either way Spencer a nice position to be in and well worthy of your efforts and skills. Thanks Ray, yep those are the exact decisions I am weighing. Great read. One thing, I wish your article would have covered is how do you evaluate your business prior to sell. Like, am I asking too much? What is worth a fortune to others may under value to you and vice versa. What do you mean by “evaluate your business”? Do you mean how do you put a value on the business, sell price? I have been following for website for quite some time and honestly it has some really helpful content. 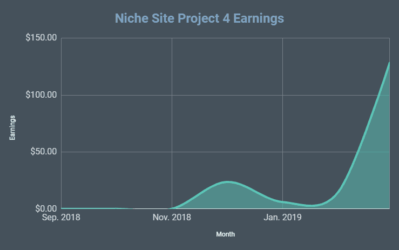 I too plan on building a small niche site and then sell it later on, I guess websites are like online property investment once they make a constant monthly revenue. Can you please share with us how we could go about selling websites and different ways one could make money by domain flipping. I would sell the website! In my opinion diversifying your passive income portfolio with investments in real-estate businesses You would secure Your future better! I realize websites sell at low multiples, but giving up a manufacturing business at a multiple of 2.5 times net income seems insanely low. This must be a total commodity where you have no IP, no brand name, and no economies of scale whatsoever. You can see typical multiples of websites/”manufacturing companies” here: EmpireFlippers.com and FEInternational.com. That will give you an idea of what these businesses actually sell for. I was just curious? How long do you think the affiliate site business model will last. I know Amazon changed the commission rate a few months ago. Do you expect any other significant changes from Amazon in the near future? Companies will be paying affiliate commissions probably forever. If you mean specifically Amazon, I am still optimistic that it will be around for the long term as well, but I can’t predict all the changes. Your transparency is appreciated! Such a valuable learning tool for your audience. Question: is this any indication that your outlook is bearish on affiliate sites, even authority sites rather than small niche sites (let’s say within the next 2-5 year timeline)? I understand this is an FBA business as well, but seems that it’s tied to your affiliate site also. Not an indication. I’m simply weighing the pros and cons of this particular business and have decided to cash out. I still have other niche/authority websites and expect to start or buy more in the future. I also sold a majority stake in my online business a little over a year ago. The decision to sell was not easy but the deal was structured so that I could both keep some equity and “cash out” with a nice chunk of change. With the exit funds I have invested in other online businesses (Some of which we actually share) to diversify my risk. Like yourself I have also tried some alternative type investments. Like you invested in Prosper I invested through Lending Club and it was not a really a good experience. I did not loose money but the returns were pretty pathetic. At first it looked like peer-to-peer lending would offer some decent the returns but slowly over time I realized that I would not see much of a return over the 2 years I had invested with them. On top of that you also have to consider how these investments are taxed. You will have to consult someone regarding your own situation but I learned that the tax situation with peer-to-peer lending is not very favorable to investors. Anyway, It’s great to hear you will have more profitable exits in your future, you truly deserve it. I can credit some of the success I have had online to what I have learned through your blog and podcast. Thanks for all that you do! Thanks Nathan! Great comments. In terms of peer to peer lending, I only invested a token amount to see how it goes. So, thanks for the heads up. Long time no hear from you. I saw the writeup from your buyer of LTP and I thought it was interesting how they said 2Xed the business in only 3 months. I’m glad you are happy with the sale price, but does that also make you wish you had did some of the things they did to get that quick of a boost so quickly? Perhaps we should talk offline, not sure. I get asked at least twice a year from a serious company to buy my site, and each time I kinda become disinterested because the valuations are so low relative to the P/E multiple of the S&P 500. A 37X monthly earnings OR revenue multiple is literally compared to a 250X monthly earnings multiple for the S&P 500 is just too huge. I’d rather buy cash cow websites with a sticky business and a clean backlink profile with a growing brand, rather than sell. Since we did our podcast on Sept 5, 2013, my revenue and earnings have more than tripled. I feel like my only limit is time and resources. I could hire a bunch of people, optimize this and that, get more business partnerships etc, but I’m happy with the income just publishing 3X a week. What am I missing? Shouldn’t we be buying at these valuations instead of selling? All the proceeds you will get will be reinvested in much more expensive assets. Regarding the writeup you referred to about LTP. I’m happy to talk privately as well, but I will simply say that the article was written as a marketing piece (to help them get more deals) and was a bit misleading. When the article was written and even now (1.5 years later), the bottom line income of LTP has not increased above where I sold it at. Again, I think the article is a bit misleading, the income of the business has definitely not doubled. I think buying websites is a great model, it all comes down to whether or not you have the time or team and energy to grow these assets. I personally have at least one core asset (NichePursuits.com) that I won’t sell. Other websites I own I view as projects that I build to a certain point with the expectation to sell. I’m sure we could have a much more lengthy discussion on this topic. As a customer/user and as one of the top affiliates for Long Tail Pro – I can vouch for the fact that there is no way Long Tail Pro doubled revenue since Spencer sold it. When they moved to the cloud version – the tool was REALLY buggy and they lost a LOT of customers and support for the tool overall at the time… Most of the bugs have been worked out (most of the time) – but there are also WAY more competing keyword research tools than there were ever before. I think Spencer saw the writing on the wall and got out at the exact right time. Thanks Matthew. I still do own a small piece of LTP, so I see the monthly financials. Bottom line (including affiliate commissions) is still not an increase since I sold the company. Flippa is offering a commission to anyone who recommends an FBA business for sale. Can I refer you to them? Just kidding. I agree that you should sell. 450k is a good amount to invest in something else that may provide less monthly but more security. For me, 450k is enough to diversified your assets that would excite you more than “bored”. Thanks for sharing your transparency on this. I’m assuming there would be a fall in the USA stock market within very short time (6 months to 1 year). And if you check, FED is on a policy to increase the interest rate. This will definitely lessen the money flow in the economy. Less money flow in the economy always crashes the stock market. In this situation, being in cash is the best option. I admire your sale of the FBA business but try to distribute the money conservative methods. I mean at least keep 25% in cash mode and the rest in a very conservative way. When there will be a fall in the stock market, real estate sector will be badly affected. Be cautious before investing. I traded stock market, Forex and trained many people on fundamental and technical aspects of the market in my own country. Thanks Kawser! I’m pretty conservative with my money actually, so I have things well diversified between cash/near cash, stocks, and all the way to more risky things like cryptocurrency. Hey man, Very interesting to read, however if you think about selling your business, clear avoiding sentimental situations (motivation, I put my best effort, the value I consider is more, but others do not see it, etc.) is because you will get more than What you get right now and better in the future. As you know the risks exist everywhere, even with your sale of your business, the risk of a bad investment may exist. I think the most important thing is how quickly we act to adjust to the current changes. Risks will always exist, for example; The risk of an economic meltdown exists, and even more so if there is a war. But I insist you are a businessman and I am sure you already did an analysis that with the sale of your business you will get a better performance than you now have. It can translate into more time with your family, more money, more fun developing better skills, etc. It is clear to me that the assets in the real estate is a good investment but they also have their risks, there is no immediate cash flow and if you want it there is a risk of selling at a lower price and having money at greater interest. What is the best time to sell a business is when you have finished doing your analysis (cold calculator) and where you get better benefits and better control of the risks, considering that the risks are only mitigated. But the decision is yours and your family. Thanks Carlos for the thoughts! Personally, I would see how much I could goose that net profit number over the next couple months. You are only spending one hour a week on it? What happens if you spend 5-10 hours a week for the next two months? Can you increase that net profit by 20-30%? Increasing this brand by only 10% would give you a bigger return on your time than doubling your fitness or incubator brands. How much time would it take you to double one of those smaller brands compared to increasing the home goods brand by 10%? How much will sales increase during the holiday season? Is it better to sell a couple months before the holiday season, or right after? You are an expert in building niche websites and you have already expanded your skillset into FBA/e-commerce. Why not continue to build on your current skillsets? Even though real estate can be passive, you will still need to start at square one. You’ll need to learn the different types of RE investments available, what actually constitutes a good deal, build a network, and spend who-knows-how-many-hours looking for deals until you get the first one since every HGTV addict is out looking for deals nowadays. How much time will it take to get your first deal? What could you have made if you spent that time working on your websites instead? And what about the long-term ROI on both investments? One way you can go from zero to $450,000 in a couple years (plus all the profits generated over that time). Even people that snagged incredible RE deals after the housing collapse didn’t see those sorts of returns, and they probably put in a whole lot more hours driving around to find deals than you’ve spent on your site. If I were you, I’d take part of the money as an active investment fund for buying other websites where you can add value, and the other part would go into truly passive investments that don’t take hours upon hours of time. Thanks Travis, your thoughts are good. However, you are making the assumption that I don’t already have cash in the bank before I sell this business. I do. So, I definitely plan to continue investing in new Amazon FBA and niche site businesses – along with my team of employees. I have money to invest in these active businesses where I have the skillset. However, as a long term play I think its smart to also take some funds (from this possible sale) and invest in some real estate. So, I’m doing both. Hey man – you can always take that money and invest into a new paintball field for the next meetup :). All jokes aside I’m with you on selling the Amazon FBA business. I’ve invested more in real estate before transitioning into the online space. Happy to chat more to compare notes and see if I can be of help. There’s also the “Family Factor” that you didn’t mention. If something happened to you, would your wife or children know how to run your FBA business? So by selling the business, you create a “liquid” asset that can provide stability for them should you drown while kayaking or something crazy. Yes, term life insurance can address this, but selling Operating Units while they are successful ensures no money is left on the table should they have to cope with the issues. Yes… this is a family guy’s perspective… but Operating Units quickly dissolve when key members exit. Overall, you post is a great topic for anyone looking to build a small business. Hi Spencer quick question. I have just bought a new car and want to use it for weddings. Is this a Good subject for a niche website or am I in the wrong market? Is there any chance that, if you sell your business (or before you sell), you’ll create a blog post showing us how that process works? 1) How do you know what to charge or expect to get paid for your website? 2) How you verify your earnings to prospective buyers? 3) How do you transfer your website to someone? When do the funds you’ve been paid get released–before or after the site transfer? 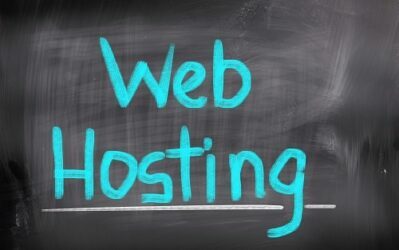 4) How do you move your website to a new owner while still maintaining that everything they desire is likely to stay in place–rankings, SEO, perhaps website security, etc. Great questions, thanks for the thoughts on what I should blog about. Definitely gives me some ideas.